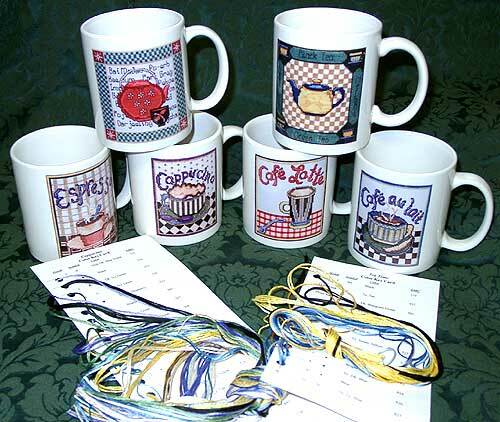 Mug Kits include the complete cross stitch kit with 14 count aida fabric, sorted floss, needle, chart and instructions plus these beautiful dishwasher safe mugs with the cross stitch design on the mug. 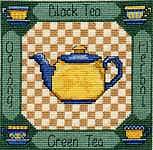 Stitchers can have the stitched design on the wall and the mug in hand or a full set in the cupboard. "Sampler poem surrounded by all the things we take to dog shows. " Item Name: God Bless This Home - Rooster Category: Cross-Stitch Item Number: 473 God Bless This Home - Rooster is a design in the "Country Rooster" series. It is a perfect fit for the entrance to that country home. The Grandmas Think List design is shown stitched on 14 ct. Fiddlers Lite Aida fabric by Charles Craft, Inc.
"A House is Not a Home Without a Dog Sampler is Shown stitched on 14 count Smoke Tone Aida fabric, from Charles Craft, Inc. "
Item Name: Life Is About Category: Cross-Stitch Item Number: 476 Life is About Being and Becoming, Not Having and Getting. This Live Love Laugh sampler is simply sweet. 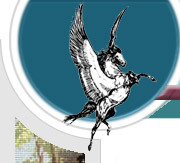 This design would look great either hanging on the wall or as a pillow. PawPrints Colors: 9 Stitch Count: 180W X 138H The Pawprints design was stitched on 14 ct. Smoaktone Aida fabric, from Charles Craft, Inc., using 2 strands of floss to cross stitch. Samplers include - Peace and Plenty, Give us this Day, Love Alone, Calorie chart, Kiss the Cook, Beautiful baby, Silent Night, ABC Sampler, Wedding Sampler, Apple of My Eye, Sailing, Take Time to Smell the Flowers, Peace be unto this House, Home Sweet Home and Blessed be the Poor. samplers include - happiness is Homemade, Welcome Friends, calendar Sampler, Tis the Season, A Child's Prayer, Grandchildren, Merry Christmas, Love Me Love my Cat, Love Me Love my Dog, Alphabet Sampler, Joy, Kitchen Sampler and make new Friends. 10 designs for those who love to shop. 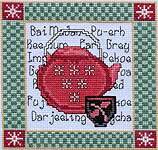 Item Name: SMILE Sampler Category: Cross-Stitch Item Number: 475 This Vintage looking design urges you to do the most simple thing in just a glance, "SMILE". Different designs with perfectly fitting mats. Stitch Count: 130w x 190h This Lobster design is perfect to "spice up your kitchen"! There are not many colors needed to make up this design - ONLY 8! Chartpack# 456 Designed by Leah Hedgepath Walters. Also, look for the other chartpacks in the "Spice up your Kitchen" Series: 457 - Spice and 454 - Accessories. The Virtue design is shown stitched on 14 ct. Fiddlers Lite Aida fabric from Charles Craft, Inc.